Got a great pic of G1 Op or BW Megs? Whether it's 2-D or 3-D it's welcome as is any other form of art outside the custom figure world. Motto: "Never doubt the awesomess." 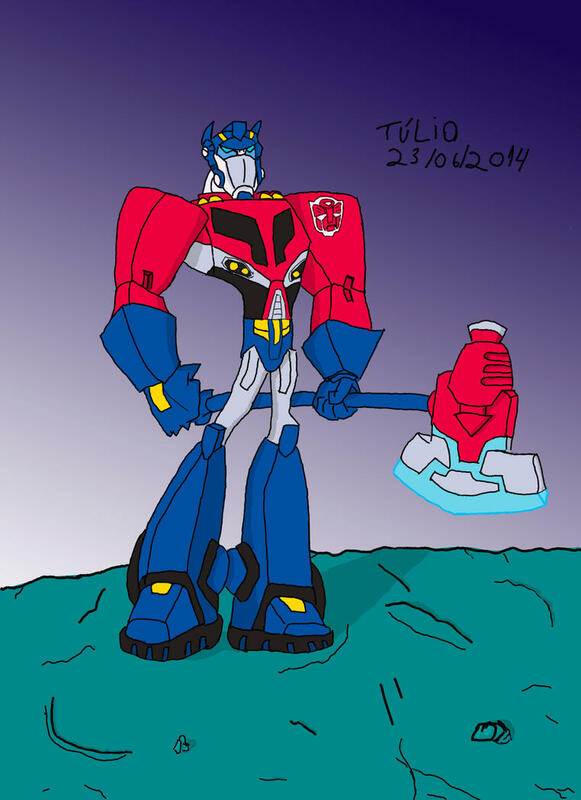 Here is my drawing of Animated Optimus Prime,third time I've used photoshop to color one of my drawings.If you pay attention I did the shadows on different place than the orginal stock image render. One for each year of the Movieverse's decade strong tenure. Here's to a few more explosive years! Here is my DeviantArt page and my Tumblr blog. Not bad lines could be straighter but that's about the only criticism I can give you've captured the style perfectly. Good job. 4,587 pages were recently viewed by 747 unique visitors. This page was viewed 1 times on Thursday, April 25th 2019 11:11am CDT. © 2019 Seibertron, Inc. DBA Seibertron.com. All Rights Reserved. Established June 2000. Seibertron.com is owned by Ryan Yzquierdo.